SPF 50 provides protection against harmful UVA/UVB sun rays. 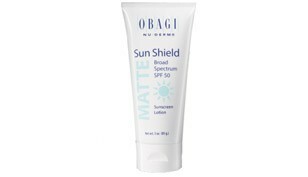 The Obagi Sun Shield Matte Broad Spectrum SPF 50 is Obagi’s strongest sunscreen lotion. With an SPF of 50, the Sun Shield provides protection against harmful UVA/UVB sun rays that can lead to skin damage such as premature aging, fine lines and wrinkles, skin cancer and sun spots. 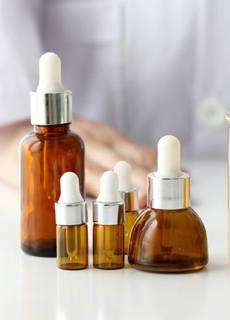 Used in conjunction with other Obagi Nu-Derm System products, the Sun Shield can help reduce the appearance of dark spots, age spots, and uneven skin tone. 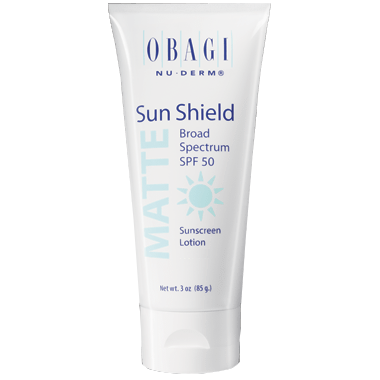 The Obagi Sun Shield SPF 50 is ideal for all skin types and tones and as an added bonus comes in a sheer, matte finish for no added shine or oil. The skin will be left protected, even and vibrant with each use. 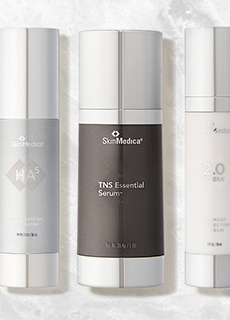 The Nu-Derm Sun Shield SPF 50 is lightweight enough to be used daily and under makeup and other skin care products of choice.